The popularity of cork has been well known in the European market for more than 150 years. The first installations were in cathedrals and churches in Portugal and Spain. The US Library of Congress received its cork floor prior to the reopening in 1897. There are photos in the Library of Congress records of court rooms (Anchorage Alaska) where cork has been used. 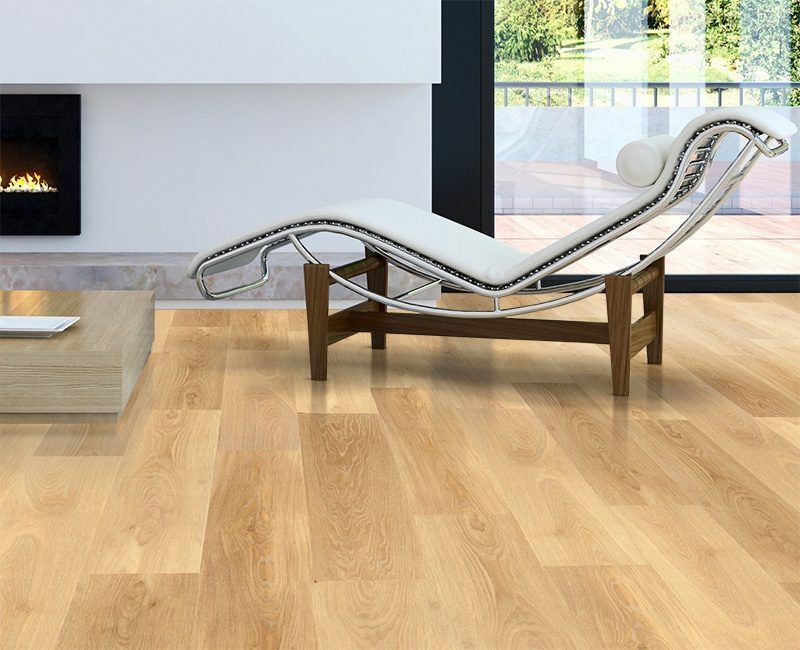 Cork Flooring Benefits – warmth underfoot. Long touted as a “carpet” substitute because of its warmth underfoot, cork is quickly gaining popularity for its other insulating attribute – acoustic insulation. 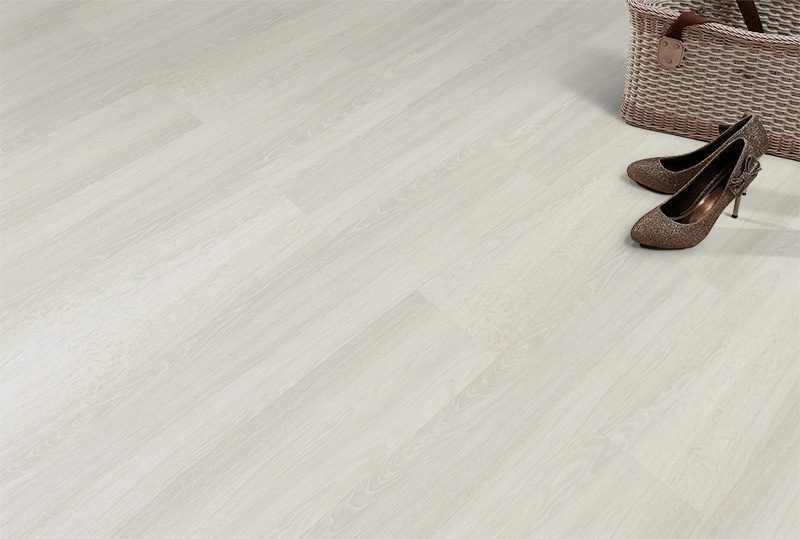 Cork offers a quietness that is difficult to fathom until you have lived or worked in a space with this type of flooring. The quietness is an often over looked aspect of cork that has become highly prized in today’s modern world. A serenity, a peacefulness is brought into any space that utilizes cork flooring. This makes cork highly prized in large echoing spaces – such as places of worship or study. The acoustic sweet spot of cork begins with the human vocal range. As sounds get higher pitched (ringing of a cellphone, background music of a movie, etc) cork’s acoustic dampening comes into its own. 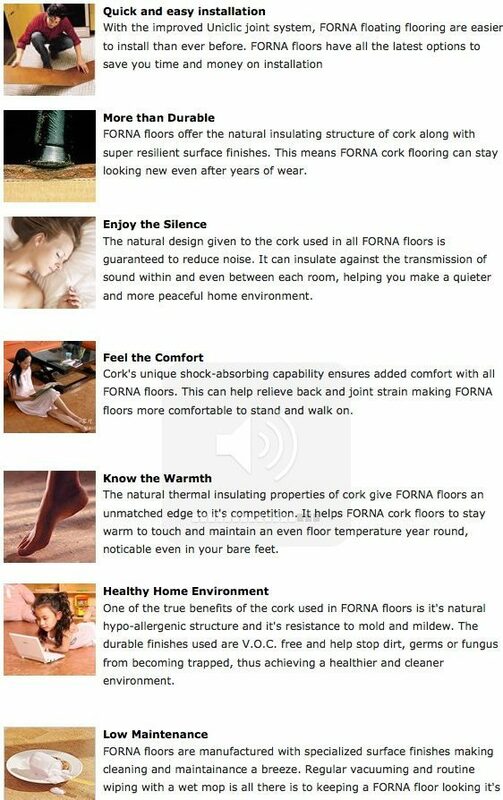 Cork Flooring Benefits – Soundproofing. Cork insulates against vibration. Heat and sound both function as forms of vibration. It is cork’s vibration suppression that gives it all of its insulating properties. Walking produces vibration – as the heal strikes the floor, a wave of vibration transfers upwards towards the head. Cork flooring reduces the vibration at the source – the heal strike. Reducing the jarring affect walking has on the ankles, knees, hips, back, shoulders, head and neck reduces pain. This is why walking, standing or working on a cork surface greatly reduces pain normally felt while working on other hard surface flooring. This “softest hardwood” is as easy to care for as any other wood surface. It can be used as a water proof covering in bathrooms, laundry rooms, kitchens, entrance ways and even as backsplash material behind sinks, stoves or ovens. Cork’s natural defense against microbes makes it a great choice in sensitive areas such as play rooms, schools, kitchens and bathrooms. There is no need to add chemicals to cork to do this. Suberin, the waxy substance found in abundance in cork bark, is the substance that makes cork water proof and anti-microbial. 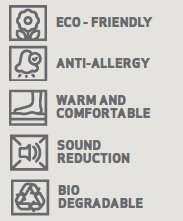 Look for cork flooring free of “anti-microbial” chemicals added at the factory. Most of these chemicals have been banned by Europe and Japan. These additives are often costly “extras” used to promote a higher priced product.